As associate executive director and chief nursing officer, Mary Curran, EdD, RN-BC, is responsible for the daily nursing, case management, social work and admitting departments at Long Island Jewish Forest Hills, a 312-bed community hospital located in an ethnically diverse residential neighborhood in northern Queens, New York. From 2012 to 2015, Dr. Curran served as Long Island Jewish Medical Center's director of patient care services and Magnet Program director, where she managed more than 310 full-time employees at this facility in New Hyde Park, New York. In this role, Dr. Curran was responsible for the respiratory care unit, three medical units, an inpatient oncology unit, the inpatient acute dialysis and outpatient pediatric dialysis units. Among her many achievements, including leading initiatives around patient safety and reducing infections, Dr. Curran's work contributed to the hospital receiving Magnet designation — the gold standard of nursing. Previously, Dr. Curran was assistant director of education at Long Island Jewish Medical Center, where she oversaw the nursing education department's operations. She began her career as a clinical nurse at Good Samaritan Medical Center. 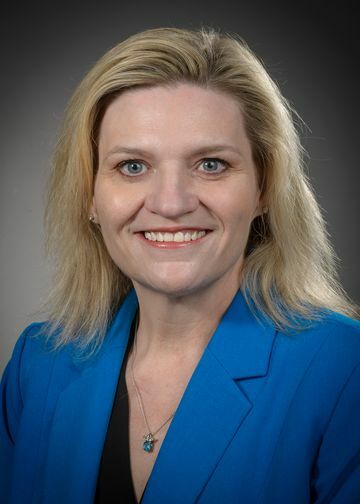 Dr. Curran has been published in the Journal of Continuing Education in Nursing, worked as an adjunct professor in Walden University's MSN program and has presented her work across the country. She has bachelor's degrees in nursing from Molloy College and marketing from St. John's University, and a master's in nursing and an EdD from Walden University.